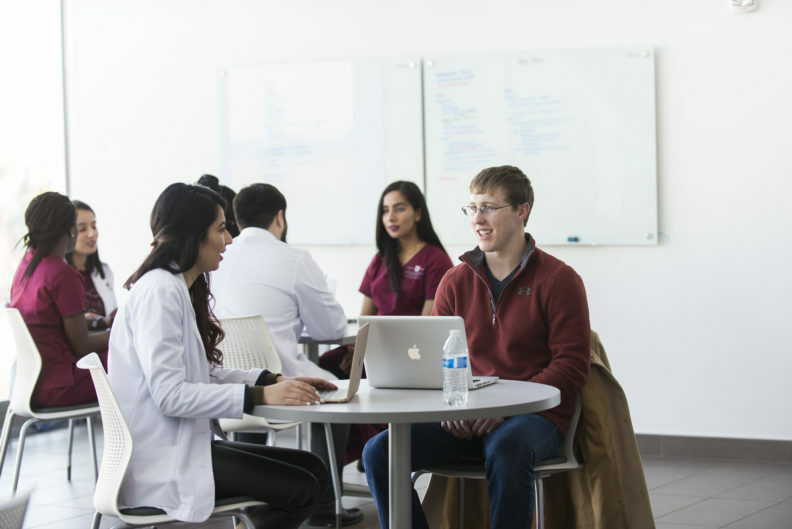 The WSU College of Pharmacy and Pharmaceutical Sciences (CPPS) and Carson College of Business have established a concurrent degree program that will allow eligible students to earn both their Doctor of Pharmacy and Master of Business Administration. This collaboration is a result of the college’s mission to develop outstanding health care professionals and prepare leaders in the pharmacy profession, and the Carson College’s mission to develop globally competitive business leaders and create value for communities. This program is intended for student pharmacists who also want to obtain their MBA. Students in this concurrent degree will take pharmacy courses at either the Spokane or Yakima campus while simultaneously completing their business courses online. Applicants must satisfy all admission requirements for both programs. Applicants must apply separately and be admitted to both the CPPS and the Carson College of Business to pursue this degree track. Students can apply after being admitted to the pharmacy program, but they cannot enroll in courses until PY1 spring semester. This will ensure that students are comfortable with the pharmacy program before taking on additional academic responsibilities. Students must first be admitted and enrolled at the CPPS to apply to the concurrent MBA program. Students can apply after being admitted to the pharmacy program, but they cannot enroll in courses until PY1 spring semester. Tuition will be paid to both colleges at the same time. To look at the current tuition rates for the online MBA program click here. The tuition for this program is in the per-credit tuition charge table under the global title. If you have any questions about financial aid please contact Liz West, associate director of student affairs, at liz.west@wsu.edu. This concurrent degree saves students’ time and money because some pharmacy courses allow the business program to waive elective requirements, and vice versa, some business courses allow the pharmacy program to waive elective requirements. In addition to this the Carson College of Business will allow students to complete their business plan requirement through the CPPS so students can focus on a pharmacy-related business model. Elective course crossover saves money. Students are able to earn two degrees in as little as four years. The Carson College of Business waives the MBA application fee for student pharmacists entering the concurrent degree. Contact Pharmacy Student Services for the fee waiver information. The PCAT and GMAT are not required for pharmacy students.